Hoverboard was a great invention and now this invention is turned into new era or technology by introducing the Hovershoes UK and its a step forward in Hoverboards technology that it combines the fun of a skateboard, Flexibility of a Roller skate with the practicality of a Self-balancing Electric Scooter. 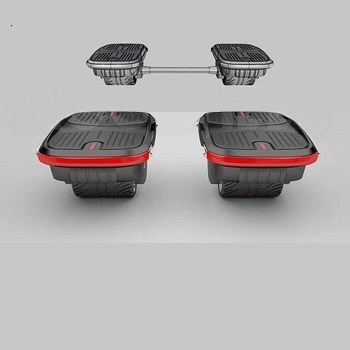 Moving forward or moving backwards on hovershoes is very easy or if you want to take left turn or right turn or if you want to stop hover shoes are very easy to manage and control the hovershoes. keep in your mind that a hoverboard user can ride and control this hovershoes. Not sure whether to buy a Hoverboard Sewgay or a E-Skateboard, then these are all in one – Hovershoes/Electric Skates that can also be converted into a Segway Hoverboard! Suitable for all of those who wish to stand out from all the others! This is the exclusive Hover shoes for sale /Electric Hoverskates only the one in the market from UK Segboards. It’s MORE FUN, SLEEKER, LIGHTER AND ALSO, SMARTER! The Electric Skates/Hovershoes for sale – the best creative product and trendy toy in 2018. This cool product follows from the original Hoverboard that was a burst on the scene on 2015. These hover-shoes have cool LED’s around the edges and only weigh 3.3kg per skate, making them agile to carry with handle straps on each side. Due to the impressive smart balancing technology of hover shoes for sale in the UK, you are able to do cool tricks, acrobatic stunts aswell cruise of a top speed of 12 km/h. Also included is a connector which allows both skates to connect together to convert them into a hoverboard! The Hover-shoes are completely different Beast! !